The 1330 transmissions on SE6 have a knurled rod sticking out the left side that , I believe, is the one used for shifting the SM6. Is that correct? I ordered the lever and the clamp bolt for a SM6. My idea is that if I can Mickey Mouse a mechanism to use it for shifting if/when the E-shifter craps out in the middle of nowhere. How would the automatic clutch work in this scenario? Yes that spline shaft is for the shifter lever on a SM model. I would guess that you could shift into 1st, neutral and reverse with it. The clutch is disengaged at idle engine speed. Up or down shifting while in motion I don't think will work because the clutch will not disengage for the shift. You did not ask but I will add. This seems like money and effort wasted for a potential problem that will likely never ever happen. On the SE5 the biggest problem is that folks did not check there engine oil level. On the SE6s like yours problems are almost nonexistent. Thanks Billy. It's just that over the years MURPHY and I have become unhealthily too close, if you catch my drift. So the Boy Scout in me takes over too often. 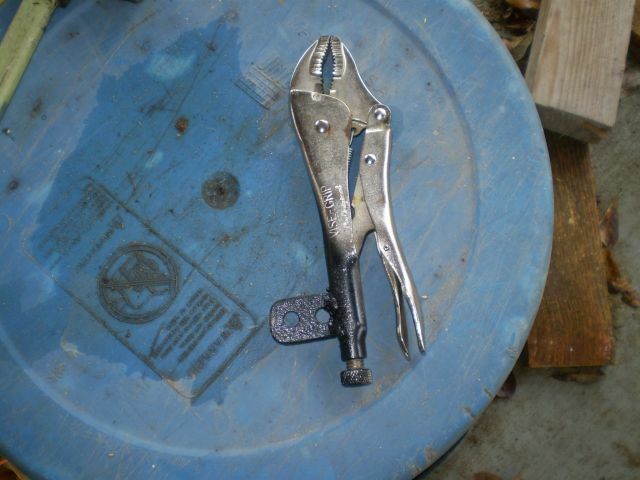 Just weld a tab on for the shift peg and carry a set of these in the tool box. Forum RT Shop Talk Shift lever..